Times are changing, and things seem to be changing faster and faster. As there are more advances in technology and the way we live, some things are bound to become obsolete. Just think about your cell phone. It takes pictures, right? I don't know anyone who has a phone that doesn't take photos (although I'm sure someone out there has an old school phone without a camera). It wasn't that long ago when having a camera on your phone was an "extra feature." It was a big deal. Now, it's just normal. Same for having a touch-screen phone (for most people). And a dishwasher. And a lot of other things. As technology advances and new things become available that make our lives easier, other things just become useless. Not all advances are good things, though. 1 - Landline Phones: Speaking of cell phones, everyone has one. And the majority of them are smartphones that have everything you need right at your fingertips. Landline phones are becoming a thing of the past. Besides businesses and organizations, there's no real reason to have a landline. If someone wants to get a hold of you, they'll call your cell phone. 2 - Fax Machines: I remember working at a convenience store that had a fax machine, and I would have to send faxes for customers pretty often. As the years went on, I would send less and less faxes. Now, I never hear anything about sending faxes, receiving faxes, or seeing places with fax numbers anymore. How about you?? Seems like obsolete technology, you can just send an email and the receiver can print out those papers. Is there any other use for a fax machine? ...Maybe they're already extinct. If not, they're pretty darn close. 3 - Writing Checks: Yes, some people feel more comfortable and like to still write checks, especially for paying bills like the electric, water, or maybe the mortgage. But have you tried to write a check for groceries recently? A lot of places don't accept checks anymore, or it's a whole process to take it. With debit cards, credit cards, and even the possibility to pay for things just by holding your phone over the reader, checks are becoming a thing of the past. 4 - Digital Cameras: Like we mentioned earlier, cameras on phones are just the norm now. So what's the point of having another thing in your purse, or another thing you have to carry? Besides, the cameras in cell phones now are so advanced, you don't need a digital camera. 5 - Manners: We hope we're wrong on this one, but you have to admit you've seen it. It seems like more and more kids are growing up without being taught manners or common courtesy. It feels like we don't hear "please" or "thank you" as much as we used to. And we don't see people holding the door open for others or helping out their neighbors as much as before. Again, we hope we're wrong about this one. We definitely don't want manners to go extinct in the next 15 years or so. What about you?? What else do you think won't exist in the next decade or two? Do you think any of the ones on our list are wrong? 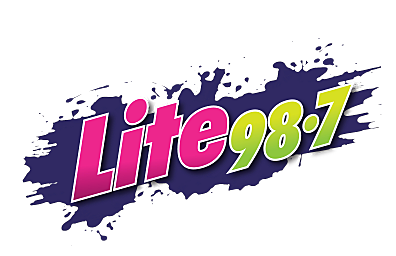 Tell us what you think - You can leave us a comment or message on our Lite 98.7 Facebook Page.